Learn and conquer with a stand-up paddleboard lesson and practice session in the waters off St Martin. 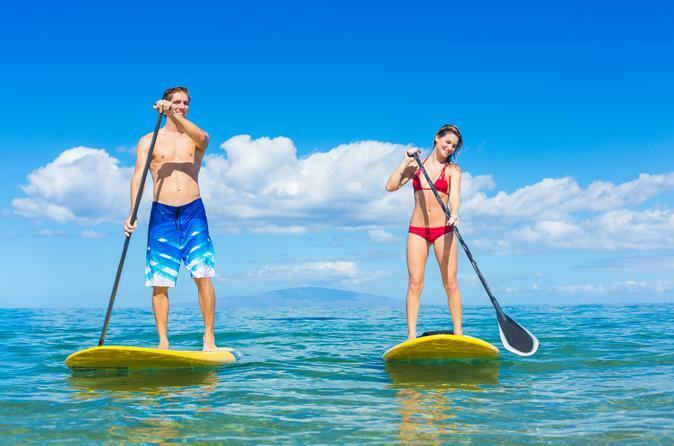 Set out for the northeast coast's Le Galion Beach where an experienced instructor will teach you the basics of SUP, then head into the bay to hone your skills. The area's calm, shallow waters are ideal for perfecting your moves, and it's a laid-back activity the entire family can enjoy.